Sumo5 is an infrastructure project management software. Designed to manage and quantify piping supports materials; its main capability is to retain the Company's standard support drawings, read the quantities from the 3D model or other sources, and deliver Material Take-Off and Material Requisition based on the Company's requirements. Company's piping support standards are loaded into the application with their parametric dimensions; while importing data from the 3D model or other source, Sumo5 calculates the needed quantities and generates a Material Take-Off. 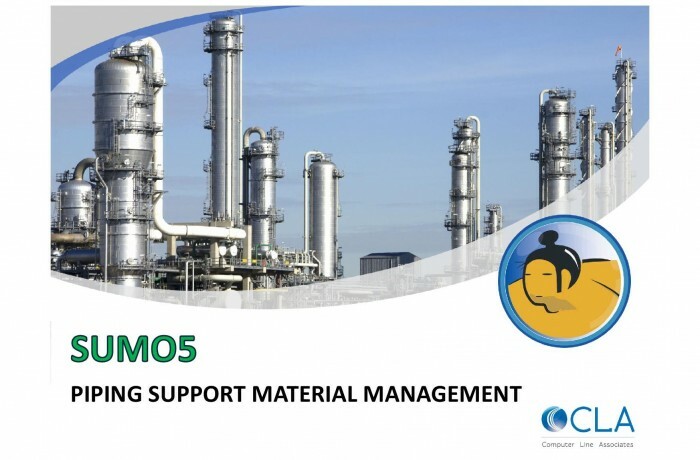 Besides managing the standard supports - which are available for every project stored in the same database - Sumo5 can manage also the materials related to special supports for the Material Take-Off and the Material Requisition of each single project; in this case, however, they are visible only for the current project.